Working with Toby Elwin in 2009 I was fortunate to reverse the role of mentor/mentee. The mentor (me) received great advice and help from someone I have been mentoring over the past two decades. 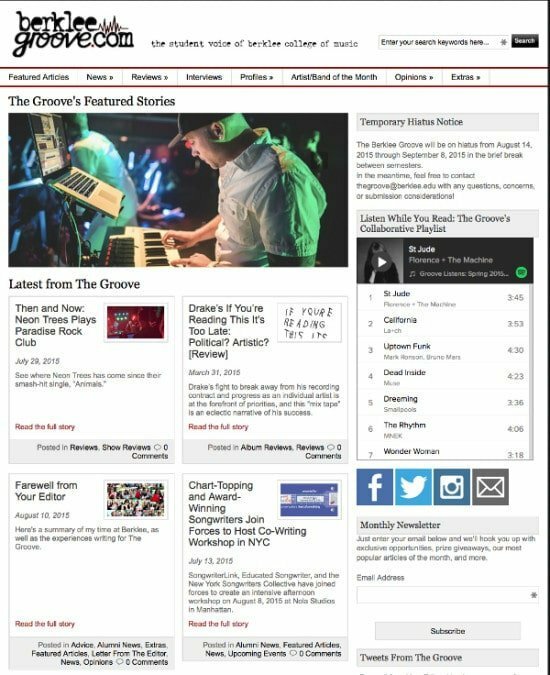 Toby Elwin played a major role at Berklee College of Music in transforming its student 8-page, print newspaper into an electronic and dynamic form of student communication. Toby was my consultant with his work leading focus groups, directing student leaders, and coaching the editors to produce a business case and to facilitate their own assessments. As the editors are about to graduate, Berklee Groove is thoroughly prepared to take on the new challenges facing them. Thanks to Toby we have a sustainable publication serving a community of 5,000. 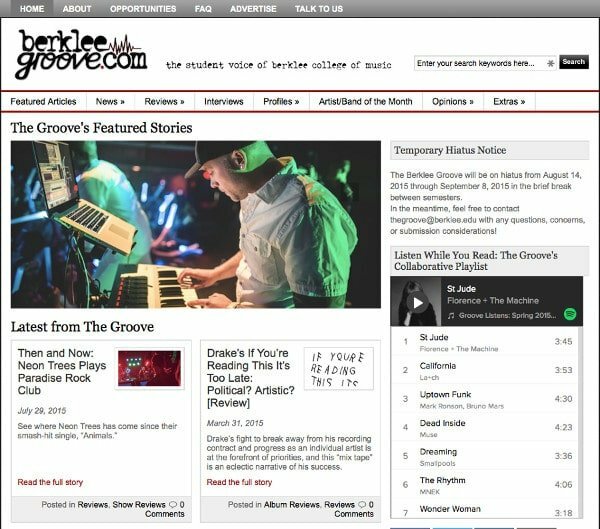 March 2010 was the launch of BerkleeGroove.com. Without Toby’s expertise I think we would be having this launch much later. Toby Elwin’s contribution was invaluable. He achieved more than I knew could be done. This opinion also came from the VP of Student Affairs. He told me that the business case prepared by Toby and the students was the best he had seen during his thirty-plus years as an executive at Berklee. Toby is someone I trust to deliver services and products on schedule. The project was launch was scheduled in three months and he made it happen. Toby was expert in his facilitation of mixed stakeholders. It was the best facilitation/strategy session I have been a part of in my twenty-plus years at Berklee. All the years I have known Toby Elwin, he has been committed to the college experience and to the arts. I believe Toby’s experiences and training make him a worthy candidate to thrive in higher education, business and non-profits. Working in the higher education since 1974 as well as an entrepreneur, I see Toby’s character and skills set qualify him to make a major contribution in the field of education. Toby’s consistent devotion and leadership to improving the student experience whether he is a student, alum, and consultant shows me can do more. Discover more about Berklee College of Music. See more about project objectives and achievements on the portfolio page.